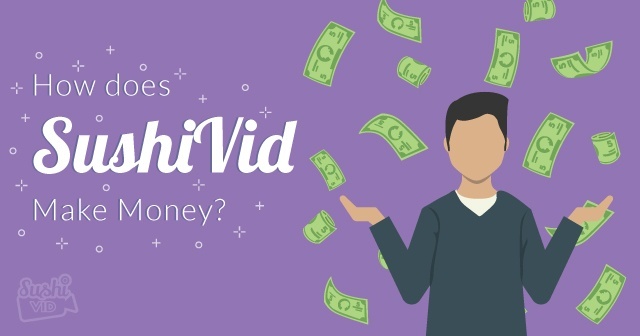 How does SushiVid make money? You know the story – hushed, clandestine meetings. Money passing under the table. Kickbacks. The act of secret profit sharing can give you a giddy euphoric feeling at first, but what happens when the institutions around you start to flounder? Will there suddenly be a bitter taste in your mouth? Will you be wracked by guilt? Will it all come crashing down? Today, we discuss why you should never undercut the online marketplace. Sure you’ve saved yourself 25%, but what have you lost? For one thing, unless you’ve got our own security racket acting on your behalf, you’ve lost the protection that aligning with SushiVid guarantees. How do you know that the brand is going to pay you upon receipt of your video? And, how do you know your YouTuber won’t just take the money and run? Do you really want to take that gamble? Imagine then if everybody else on SushiVid did the same thing? Suddenly SushiVid would become unprofitable and the market would die, sending brands and influencers hurtling back to square one. As a result we’d see a return to the much dreaded practice of cold calling. That “beep, beep, beep” sound is never good for the ego! With the increased difficulty in finding YouTubers and brands, will come the increased cost of marketing services. After all, online marketplaces are prized for delivering skills and affordability. With the disappearance of the SushiVid stock will come the disappearance of our analytics. As such, brands may face increased costs hiring somebody to take care of these for them. It doesn’t have to be a tale of gloom and doom. You see, the shoal flourishes the best when everybody works together for the common good. It’s when greed creeps in that things go awry. Isn’t that right PM? Caption – Take it from Zac Efron – we’re all in this together! It seems only right then that we take this opportunity to explain the 25% SushiVid payments. First things first, our payment gateway (the one that makes payment so easy for you) takes 3% when the brand pays us and 3% when the YouTuber is paid as profit. We need to eat after all. The remaining 19% is directed at integration and growth, with the goal of keeping the platform alive and running educational and networking events for our brands and YouTubers. We hope this will go towards achieving our goal of seeing the local YouTuber community flourish. To us it’s all about creating a strong YouTube community effort, with our stars contributing to that community when they cut a deal. In exchange, we promise to constantly grow SushiVid and turn Asian YouTubers into a world class force. To show we’re serious about the collective vibe, SushiVid will report on our expenditure annually. We are also committed to reducing the percentages we take once we become a profitable entity. But to become that profitable entity, we have to boost our creators. Call it the circle of SushiVid life! We have the software, we have the technology, and we have the talent. If we support these as a community, we will create an online eco-system on influencer marketing where Asian YouTuber talent thrives; a situation that works for brands and YouTubers. However, where we choose to deny these services we risk a return to poor software, poor technology, and poor video. What will you choose? 25% or the good of all? If you like what you read, check out our blog on pricing guidelines.